Thomas (leg) came to terms Wednesday with the Ravens on a four-year, $55 million contract, Adam Schefter of ESPN reports. Thomas' former teammate, Richard Sherman, said Wednesday that the veteran safety has expressed interest in joining the 49ers this offseason, Cam Inman of The San Jose Mercury News reports. Thomas will have surgery to place a rod in his left leg, Ian Rapoport of NFL Network reports. Analysis: The procedure will increase his odds of making a full recovery, and he'll aim to be healthy by March 11 when free agency opens. The 29-year-old safety won't play for the rest of this season, and due to his frustrations with Seattle's front office, it's unlikely he re-signs with the Seahawks. The Seahawks placed Thomas (leg) on injured reserve Tuesday, Adam Schefter of ESPN reports. Coach Pete Carroll confirmed Monday that Thomas (leg) won't play again in 2018, Curtis Crabtree of Sports Radio 950 KJR Seattle reports. Thomas suffered a lower left leg fracture during Sunday's 20-17 win over the Cardinals, Bob Condotta of The Seattle Times reports. Analysis: Coach Pete Carroll said the injury may be related to the broken tibia Thomas suffered in December of 2016. The 29-year-old safety likely will be placed on injured reserve, presumably with no intention of trying to return this season. Thomas has been at odds with the Seahawks over his contract, which is set to expire during the offseason. The team likely will turn to Tedric Thompson at free safety. Thomas injured his left leg in Sunday's game against the Cardinals and was carted off the field Adam Schefter of ESPN reports. Analysis: Thomas was having a huge season with 18 tackles (13 solo) and three interceptions coming into the game. He'll be replaced by Tedric Thompson. Thomas made seven tackles (six solo), two pass breakups and two interceptions against the Cowboys on Sunday. Analysis: Thomas irritated his team by missing practice this week, adding fuel to trade talks. The Chiefs have added themselves to those discussions, but the Cowboys were the top suitor in preseason and Thomas put on a show for them, even making a gesture toward their sideline after a pick. The Seahawks originally denied a second-round pick in exchange for Thomas, who now has three picks in three games. Thomas (personal) is active for Sunday's game against the Cowboys. Analysis: After missing practice Friday due to personal reasons, Thomas' status was in some flux. Prior to the 1 PM ET kickoffs, Jay Glazer of FOX reported that Thomas has been staging a 'hold-in' during Seahawks practices, remaining on the sideline rather than take part in drills is a way to force a trade while not technically taking part in a holdout. Thomas is available Sunday and should start, but it'll be interesting to see if coach Pete Carroll limits the safety's snap count. Thomas could be fined due to conduct detrimental to the team after sitting out practice Friday and reporting late to the team walk-through Saturday, Fox's Jay Glazer reports. Analysis: According to Glazer, Thomas is staging a 'hold-in' by sitting on the sidelines during practice in the hope of forcing the Seahawks to trade him away, while still not technically holding out. He will play Sunday against the Cowboys, however. Thomas (personal) participated in the Seahawks' team walk-through Saturday and is expected to play Sunday against the Cowboys, Ian Rapoport and Steve Wyche of NFL Network report. Analysis: Thomas showed up on the Seahawks' injury report Friday with a questionable designation after he missed practice that day to tend to a personal matter. The fact that the safety rejoined the team a day later suggests that he's in little jeopardy of missing the showdown with Dallas, one of the teams that approached the Seahawks about acquiring Thomas via trade during the offseason. Thomas missed Friday's practice for personal reasons, leaving his status uncertain for Sunday's game against Dallas, Curtis Crabtree of Sports Radio 950 KJR Seattle reports. Thomas made five tackles (three solo), two pass breakups and one interception during Sunday's 27-24 loss to the Broncos. Analysis: This man wants his money. On the Broncos second drive of the game, Thomas picked off a deep throw from Case Keenum and returned it to the Broncos' 15-yard line, setting up a Will Dissly touchdown catch. The Seahawks are thankful Thomas ended his holdout, and he should have a good chance to make some noise in Week 2 against Mitchell Trubisky and the Bears. Thomas, who reported to the team earlier this week, was activated Saturday and is expected to start Sunday's season opener against the Broncos, Dan Graziano of ESPN.com reports. Analysis: For Thomas to be eligible to play Sunday, Seattle had to activate him by Saturday afternoon. Cornerback Simeon Thomas was waived earlier this week to make room for Thomas on the roster. Thomas is expected to suit up Sunday, and the 29-year-old could cause trouble for Case Keenum in his Broncos debut. Coach Pete Carroll said the Seahawks will wait until Saturday to make a decision on Thomas' availability for Sunday's game in Denver, John Boyle of the Seahawks' official site reports. Analysis: Thomas rejoined the team Wednesday and reportedly had a good week of practice, giving himself a shot to play in the season opener. Seattle may make a decision Saturday, but the information may be kept private until the team releases its inactive list approximately 90 minutes before Sunday's 4:25 PM ET kickoff. Tedric Thompson will fill in at free safety if Thomas doesn't play. Seahawks head coach Pete Carroll said Thomas will practice this week and may have a chance to play in Sunday's season opener against the Broncos, Bob Condotta of The Seattle Times reports. Analysis: Heading into the final year of his contract, Thomas ended a lengthy holdout Wednesday when he reported to the Seahawks for the first time since the end of last season. He should be ready to start at free safety by Week 2, but it may be difficult for him to gear up in time for the opener given his prolonged absence from the team. Thomas (contract dispute) announced Wednesday via his personal Instagram account that he reported to the Seahawks, ending his holdout. Analysis: Thomas' decision to report to the team ends what had been one of the primary offseason storylines in Seattle. According to Ian Rapoport of NFL Network, the Seahawks agreed to clear most of the fines Thomas accrued from his ongoing absence. Thomas will take on his usual role as the starting free safety, bolstering the back end of a defense that bid adieu to several core contributors during the offseason. Thomas (contract dispute) intends to report to the Seahawks on Wednesday, Josina Anderson of ESPN reports. Analysis: Thomas remained away from the team all offseason in pursuit of a new long-term deal with the Seahawks or a trade to another organization. Rather than extend his holdout into the regular season, he's expected to be at the Seahawks' facility for the first official practice of the regular season. Until he's actually on the field, though, the situation will remain in some limbo. The Seahawks don't plan to trade Thomas (holdout) before Week 1 kicks off, Adam Schefter of ESPN reports. Analysis: Schefter added that interested teams simply aren't making enticing offers, so no trade will happen unless they up their compensation offers dramatically. Every game Thomas sit out, he will lose his $500,000 game check, not to mention the fines Seattle can levy on him. 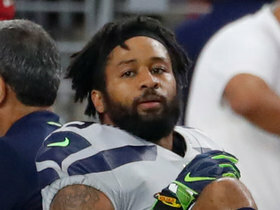 Still, the 29-year-old maintains his poker face and says he won't return without a new contract, whether it's with the Seahawks or another team. The Seahawks placed Thomas on the Reserve/Did Not Report list Thursday, Michael-Shawn Dugar of The Athletic Seattle reports. Thomas announced via his personal Twitter that he plans to hold out of all team activities until his contract situation is resolved. 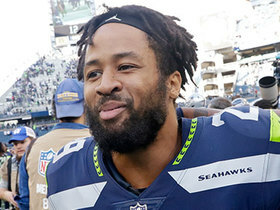 Head coach Pete Carroll said Thursday that he expects Earl Thomas to be in attendance at the team's mandatory minicamp next week, Liz Matthews of USA Today reports. Analysis: The assumption is that Thomas has been away from the team throughout OTAs while he seeks a multi-year extension entering a contract year, and while there has been no word of the two sides coming close to an agreement, it looks like the All-Pro safety will be making his offseason debut next week. Skipping out on mandatory minicamp would be the first absence that would result in a fine for Thomas, so it looks like he will be looking to avoid any monetary punishment as of now. Thomas still isn't attending the Seahawks' offseason program, but head coach Pete Carroll hopes the safety will report for OTAs in late May, Bob Condotta of The Seattle Times reports. Analysis: Entering a contract season, the 29-year-old safety presumably is angling for a multi-year extension, or else a trade to a team that would give him a new deal to his liking. Dallas has consistently been mentioned as a possible destination, but now that the draft has come and gone it seems more likely that Thomas stays put in Seattle. He can skip team activities without incurring any fines until mandatory minicamp June 12-14. Per general manager John Schneider, Thomas will not hold out in 2018 even if he doesn't have a new contract, Bob Condotta of The Seattle Times reports. Analysis: Thomas had 88 tackles, seven pass breakups and two picks in 2017, and the Seahawks' secondary is already shaky since they released CB Richard Sherman. 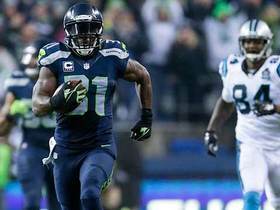 However, contract talks between Thomas and the Seahawks halted in early March, and it's still unclear if negotiations will fire back up. Just because Thomas won't hold out doesn't mean he'll be on the team in 2018, since he could still be traded if a deal isn't made. Thomas didn't show up for the start of the Seahawks' offseason program Monday, Andy Patton of USA Today reports. General manager John Schneider wouldn't rule out trading Thomas this offseason, Bob Condotta of The Seattle Times reports. "Earl's under contract for another season, and if we're not listening to everybody we are not doing a very good job," Schneider said at the annual league meeting Monday. "So we have to listen to everything that's going on all the time." Thomas likely will remain with the Seahawks, Ian Rapoport of NFL Network reports. Thomas will consider holding out in 2018 if he and the Seahawks don't agree to a contract extension this summer, Michael DiRocco and Brady Henderson of ESPN report. "I definitely don't see myself going out there not signed," Thomas said Thursday. Thomas totaled 88 tackles (56 solo), two interceptions and a forced fumble in 14 games for the Seahawks this season. Analysis: Thomas nursed hamstring, heel and knee injuries in the second half of the season, but still put together a productive 2017. The 28-year-old is entering the final year of his current contract and should remain a pivotal member of the Seahawks secondary in 2018. Thomas (illness, knee) won't carry an injury designation into Sunday's game against the Cardinals, John Boyle of the Seahawks' official site reports. Analysis: Thomas did not participate in practice this week as he dealt with the knee and illness, but the team was likely just exercising caution. The veteran safety was likely never in danger of sitting Week 17 with a potential playoff berth at stake. Thomas missed Thursday's practice due to a knee injury, John Boyle of the Seahawks' official site reports. Analysis: In three of the previous four weeks, Thomas made his first appearance on the injury report Thursday, as he did on this occasion. However, he's swapped a heel injury for one to his knee. The maintenance program has helped him rack up 33 tackles (19 solo) over the last four games, so he should be good to go Sunday in a must-win situation. No matter, his listing, or lack thereof, on Friday's injury report will be one to watch for IDP purposes. Thomas registered 11 tackles (five solo) in Sunday's victory over the Cowboys. Analysis: The 11 combined tackles ties a season high from Week 1 as Thomas continues to play an even larger role in the absences of Kam Chancellor (neck) and Richard Sherman (Achilles). The veteran safety played 69 of 74 defensive snaps and will have a good home matchup against Drew Stanton and the Cardinals to close out the regular season. Thomas (heel) won't carry an injury designation into Sunday's game against the Cowboys, Gregg Bell of The Tacoma News Tribune reports. Analysis: Thomas was held out of Thursday's practice but was able to return as a full participant Friday. The 28-year-old has faced a plethora of injuries the latter half of the season but has missed minimal defensive snaps over the last five games. Thomas (heel) was held out of practice Thursday, Michael-Shawn Dugar of SeattlePI.com reports. Analysis: Since sitting out Weeks 9 and 10 with a strained hamstring, Thomas has made an appearance on the injury nearly every week, only to be cleared for action in advance of kickoff. Despite the cap in practice reps, he's taken the field for 94.7 percent of the defensive snaps (324 of 342) over the last five games, accumulating 33 tackles (22 solo) in the process. Expect Thomas to suit up, per usual, Sunday at Dallas. Thomas (heel) won't carry an injury designation into Sunday's game against the Rams, John Boyle of the Seahawks' official site reports. Analysis: Thomas returned to practice as a full participant Friday, as the Seahawks appear to have been exercising caution early in the week. The veteran safety has a tough matchup against Jared Goff and the upstart Rams in Seattle this week. Thomas (heel) didn't practice Thursday, John Boyle of the Seahawks' official site reports. Analysis: In Week 13, Thomas suddenly landed on Thursday's injury report with precisely the same ailment and was deemed questionable for the ensuing contest. No matter, he's taken the field for all 141 of the Seahawks' defensive snaps in the meantime, so the current absence should be considered a maintenance day for the eight-year veteran. Thomas (heel) is listed as active Sunday against the Eagles. Analysis: There was little worry about Thomas' odds to play, per head coach Pete Carroll, who called the safety "fine" Friday, according to Brady Henderson of ESPN.com. With his heel not an issue, Thomas will look to uphold his end of the bargain in the Seahawks' beleaguered Legion of Boom. Thomas (heel) is listed as questionable for Sunday's game against Philadelphia, but Seahawks head coach Pete Carroll said the safety will be able to play in the contest, Brady Henderson of ESPN.com reports. Analysis: The Seahawks have been liberal with the questionable designation all season, often using it on players that aren't in any danger of actually missing a game. Thomas and Jimmy Graham (ankle) both seem exemplary of that this week. Thomas was unable to practice Thursday due to a heel injury, John Boyle of the Seahawks' official site reports. Analysis: Thomas was unhindered at Wednesday's session, so his sudden appearance on the injury report is potentially worrisome for a Seattle secondary already without Richard Sherman (Achilles) and Kam Chancellor (neck) for the rest of the season. To make matters worse, the Eagles' third-ranked offense is coming to town this weekend. Head coach Pete Carroll will likely address Thomas' health Friday, after which the final report of the week will reveal the safety's chances to play Sunday. Thomas (hamstring) was a full participant at Friday's practice, Michael-Shawn Dugar of SeattlePI.com reports. Analysis: Thomas has been sidelined for the Seahawks' previous two contests while nursing a hamstring injury. The 28-year-old free safety appears on track for a return, though, as he has seen his practice workload increase throughout the week. Assuming he avoids any setbacks, Thomas should resume his usual role anchoring the team's secondary in Week 11. Thomas (hamstring) practiced on a limited basis Thursday, John Boyle of the Seahawks' official site reports. Analysis: Initially injured Oct. 29 against the Texans, Thomas proceeded to miss the Seahawks' next two contests, which took place in a five-day span. He seems to be easing into drills this week with Thursday's capped session as he tests out the state of his healing hamstring. Look for his status to be clarified at some point before Monday's game versus the Falcons, but Thomas could be operating without two longtime members of the Legion of Boom (Richard Sherman and Kam Chancellor). Coach Pete Carroll said Monday that he expects Thomas (hamstring) to play in Monday's matchup with the Falcons, John Boyle of the Seahawks' official site reports. Analysis: Thomas has missed the last two contests after suffering a hamstring strain, but it looks like the star safety should be ready to return with the Seahawks having 11 days to prepare for their next game. Expect an official report on Thomas' status to come later in the week once the team releases its practice report. Thomas (hamstring) has been ruled inactive for Thursday's game against the Cardinals. Analysis: Thomas will miss his second-straight contest as he continues to nurse a hamstring strain that he suffered in Week 8's win over the Texans. Look for Bradley McDougald to continue to start at free safety in his absence. 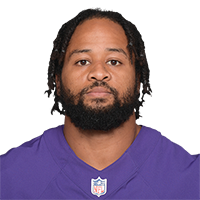 Thomas (hamstring), who is listed as doubtful for Thursday's game against the Cardinals, won't suit up for the contest, Josina Anderson of ESPN reports. Analysis: The Seahawks may not formally rule Thomas out until inactives are released 90 minutes before the 8:25 p.m. EST kickoff, but given Anderson's report, it looks safe to conclude the safety will miss his second straight game. Bradley McDougald should pick up another start in Thomas' stead after accruing a season-high five tackles across 69 snaps in the Week 9 loss to the Redskins. Thomas (hamstring) is listed as doubtful for Thursday's contest at Arizona, Curtis Crabtree of Sports Radio 950 KJR Seattle reports. "Because of the severity of the strain, it has taken some time," head coach Pete Carroll told John Boyle of the Seahawks' official site. "We're not able to get him to practice yet." Analysis: Indeed, Thomas hasn't practiced since straining his hamstring Oct. 29 against the Texans. At this point, the Seahawks are likely focusing on Monday, Nov. 20 against the Falcons for Thomas' return to action, assuming he practices in some capacity next week. In the meantime, though, Thomas will yield his starting spot at free safety to Bradley McDougald. Head coach Pete Carroll said Thomas (hamstring) will be a game-time decision Thursday in Arizona, John Boyle of the Seahawks' official site reports. Thomas (hamstring) was officially ruled out of Sunday's game against the Redskins, John Boyle of the Seahawks' official site reports. Analysis: Thomas was thought to have a slight chance of playing this week, but the Seahawks evidently won't be taking any chances with the four-time All-Pro safety. 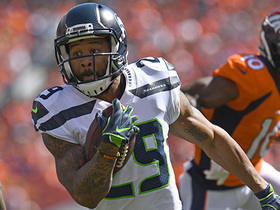 Bradley McDougald will take over at free safety in Thomas' stead, according to Stefanie Loh of The Seattle Times. Seahawks head coach Pete Carroll intimated Friday that Thomas (hamstring) is unlikely to play Sunday against the Redskins, Brady Henderson of ESPN.com reports. "It's been a hard week for [Thomas] not [being] able to do much," Carroll said. I don't know if he'll make any turn here day of the game. We'll kind of give him all the way up to that, but we're going to take care of him, too." Analysis: Based on Carroll's comments, it doesn't sound as though the Seahawks will officially rule Thomas out until game day, despite the safety's lack of participation in practice this week. Even if Thomas is able to get on the field in some capacity Friday, he still seems likely to carry a questionable or doubtful designation heading into the Week 9 matchup. Carroll said Bradley McDougald would start in the secondary if Thomas is unable to go. Thomas (hamstring) will be re-evaluated Friday to see if he's ready to practice, Bob Condotta of The Seattle Times reports. Analysis: Thomas missed practice Wednesday and will be held out again Thursday, but the Seahawks apparently have some hope he could be ready by the end of the week. He still seems likely to miss at least one game while recovering from the minor hamstring strain he suffered in the fourth quarter of Sunday's 41-38 win over the Texans. 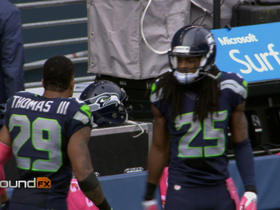 NFL Network's Mike Garafolo reports that Seattle Seahawks safety was "cordial" in the locker room after his injury. NFL Network's Deion Sanders shares his thoughts on Seattle Seahawks safety Earl Thomas' injury and exit from the game. 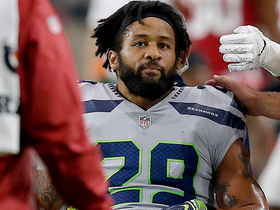 NFL Network Insider Ian Rapoport brings the latest information on the injury to Seahawks safety Earl Thomas. 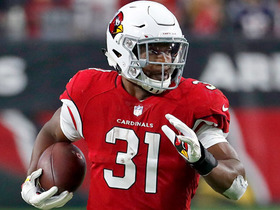 Arizona Cardinals running back David Johnson rushes for a gain of 21 yards and a Cardinals first down. 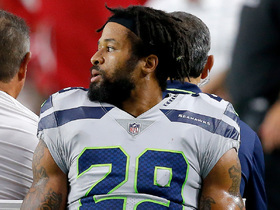 NFL Network Insider Ian Rapoport has the latest on what the Seattle Seahawks are asking for in a trade involving safety Earl Thomas. 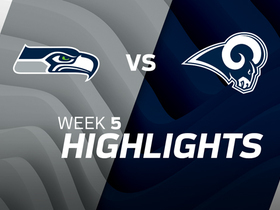 Watch the best plays from Seattle Seahawks safety Earl Thomas' impressive Week 3 performance against the Dallas Cowboys. 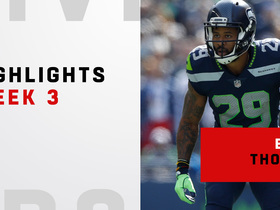 NFL Network Insider Ian Rapoport brings the latest information on Seahawks safety Earl Thomas.